The dream for many WordPress consultants is to build a business that doesn’t require them to work inside the business day in and day out. Whether or not you’ve acquired that level of freedom just yet, there are plentiful opportunities to go out into the world while simultaneously working on your business. WordCamps are certainly one good way to do this. The days are jam-packed full of insightful and useful information — coming from leading experts from the WordPress world. However, sessions tend to be a bit lacking in terms of collaboration and interactivity. WordPress Meetups are another good option, but then you have to deal with the reverse problem. Because of the limited time in which you meet, not much ground can be covered and you certainly can’t expect superstars from WordPress to show up each time. When WP Elevation comes to town, we aim to bring you the best of both worlds. On February 16, we did just that from the Shore Hotel in Santa Monica, CA. Did you attend the event? If so, bookmark this post as it contains a bunch of gems from the day’s sessions and guest speaker talks. Did you miss the event? If so, that’s okay. The following recap will let you know what you missed and perhaps inspire you to attend the next one! What the Heck Happened at WP Elevation Live? Yeah, I know. WP Elevation Live was a one-day event. How much could we have really packed into that short of a time frame? Introductions were made. Mavericks reconnected. And everyone found a seat around the spacious meeting room. Not yet a full-fledged Maverick? Join the Digital Mavericks Facebook group and get a taste of what it’s like to be part of a strong WordPress community. 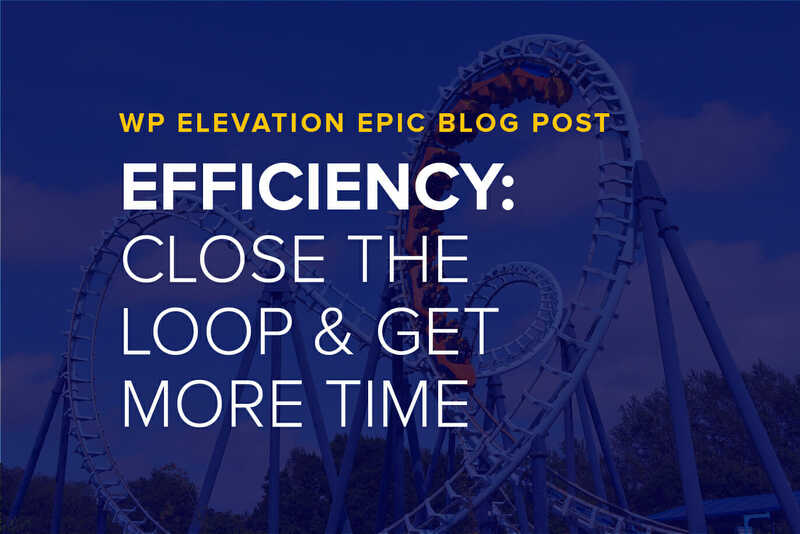 It didn’t take very long before WP Elevation Live got underway — and before attendees new to WP Elevation realised how interactive a day they were in for. It started with a quick unveiling of who was in attendance and from how far many of the attendees had travelled. Then, we dug into their business profile. After all, you don’t go to an event like WP Elevation if you’re not ready to take your business to the next level. More than 3 years old. More than 5 years old. Less than 3 team members. More than 3 team members. This last question seemed like the hardest one for people to answer. But that’s the beauty of an event like this. The kinds of obstacles that stand in people’s way and keep them from taking flight and truly elevating their WordPress business were carefully broken down throughout the day. If they felt unsure of what they were doing at 9 a.m., that all changed by the close of the event at 5 p.m.
WordPress consultants and designers typically don’t have an issue with doing what they’re good at. That is, they know how to build awesome websites. However, a problem we commonly see is the undervaluing of what they do. It’s not intentional. It’s just that… well, why should a client pay more than a few thousand dollars for a WordPress website when it didn’t take that long to build in the first place? This is what the premium positioning segment was all about. Stop charging based on time or perceived effort. Charge based on value. Learn about how to charge higher fees in this free online training workshop. Masterful storyteller. Trusted WordPress expert. Software guru. This man is a legend and we were so grateful to have him share his words of wisdom at WP Elevation Live. So, what exactly does someone with as much experience as Chris Lema talk about in such a short timeframe? Bridges. You’re not selling a service. You’re selling the bridge. Your prospective clients are sitting at home, looking up that hill and wondering how the heck they’ll ever make it up there with the big river in their way. They try to come up with ways to navigate the river, but all their efforts have failed or been otherwise too arduous. This is the bridge. It’s an answer to their pain. It’s not a lengthy explanation about how you put together a bunch of pieces of wood or beams or, in the case of what you do, code. You tell them a story about how you’ve helped others traverse the river. Just as Chris did when he told the story about the bridge. Understand that prospects and clients don’t care about you. Or the plugins you’re going to use. Or how long you’ve been designing websites. They just want to know that you’re going to remove their pain/roadblocks/river. To do this, you have to simplify and streamline your sales system. If you do this right, you’ll stop having to work so hard to convince prospects to convert. Instead, the right kinds of clients will come to you out of sheer awareness of what you can do. While speaking at WP Elevation Live, she clued us in to many of the tricks she’s utilised to launch her business, scale her community and do so organically. Starting out, Dana worked on making a name for herself in already established communities rather than trying to do the same from a brand new Facebook community of her own. Rather than try to be ever-present in any and every Facebook group and discussion, Dana utilised the search function to ensure that she was engaged with only the right conversations. Dana admitted that she didn’t initially know what her audience’s pain was. Surprise! It wasn’t that they wanted to make more money. It was that they wanted their businesses to be legitimised. For the most part, Dana has built the Boss Mom Facebook group and community organically. Want to know how she did it? She leveraged the Facebook algorithm, which seems surprisingly simple to do once she explained how it works. However, it does require continual work to convince people in the group to engage with posts and then to convince the algorithm that your page is an influencer worth putting in front of a larger audience. Why you’re too often the bottleneck holding your company back. Use this guide to close up unnecessary and wasteful loops and get more done today. This isn’t a problem strictly relegated to WordPress consultants. Anyone who’s built a business from the ground up typically runs into this issue. After all, this is your baby. You created the processes. You probably even managed most or all of them starting on Day 1. It’s hard to let go and entrust that others can run with the ball on your behalf. 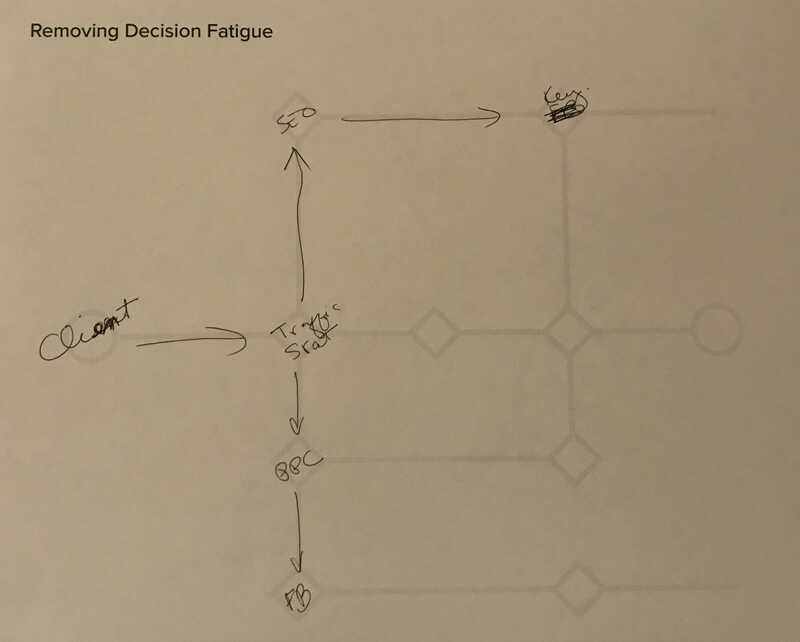 Then, it’s time to refine your processes and learn how to automate, delegate and delete when possible. Some of you may already know who Adam Preiser is. If you’re not familiar with his name, then maybe you know his brands WP Crafter and CartFlows. That’s right. Adam is “The Bald Guy on YouTube” (that’s his unofficial name, by the way). Having built a non-techie YouTube community of over 97,000 WordPress users, Adam was the perfect person to talk to about branding. As he explained, if you can show your face and let your audience hear your voice, they’ll know that there’s a real person behind the brand. It’s easier to connect with and trust a consultant or designer or even brand if you know who you’re working with. Adam told a story about how an erroneous assumption about his audience’s understanding of his sales funnel product led to an unexpectedly slow sales start. He’s obviously recovered since then and has built an amazing predictable product for his brand, but it took a hard lesson to sort that one out. One such story told was of Bill Erickson from Genesis Themes. He then set a strict schedule: work Monday through Thursday; deliver Friday. Even if clients failed to deliver content to him by the agreed-upon date, he’d still get to work with what little he had. Paula and her team would then go into their websites, optimise for speed and get the green from Google. Clients didn’t care about the ins and outs of what she did. They were just thrilled to see the results. For anyone who’s struggled with having to justify what they do and why they charge as much as they do for it, productising will save you a lot of trouble. You create the perfect bridge that requires little thought on your client’s part and an easier solution for you to implement. We'd like to take a moment to thank everyone who took time to come out to Santa Monica for WP Elevation Live. It means a great deal to us to be able to give WordPress consultants a strong community within which they can learn and grow. And nothing makes Troy and Simon happier than being able to bring that to a live stage. Will we see you at the next WP Elevation LIVE EVENT? We'd also want to thank our guest speakers — Chris Lema, Dana Malstaff and Adam Preiser — for taking their time to share their insights with us. It was a great pleasure being able to look behind the curtain of these inspiring geniuses. And for those of you who didn’t make it out to this session of WP Elevation Live or are thinking about coming to the next one… What are you waiting for? Oh, right. We don’t have another one on the books yet. That’s okay. Start with this free online course, claim a copy of this proposal template and don’t forget to join the Digital Mavericks Facebook group. Start setting the wheels of change in motion now so you can make the most of the next live event!